The government has declared the acquisition of the publisher of Echo Tv, Magyar Idők, Origo and Opus Press by the newly founded Central European Press and Media Foundation an important case of national strategy. The regulation was signed by PM Viktor Orbán, and according to the government, the move is in the interest of the public. Therefore, the National Media and Infocommunications Authority (NMHH) and the Hungarian Competition Authority (GVH) cannot investigate the acquisitions. 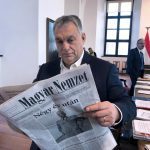 Saving the print media in Hungary is of public interest, the Government Information Centre (KTK) said on Wednesday, referring to the government decision to grant the Central European Press and Media Foundation control over many right-wing outlets. The foundation’s best-known brands include Hír TV and Echo TV, two government-friendly news channels; Origo.hu, one of the biggest Hungarian news website formerly owned by Ádám Matolcsy, son of Hungary’s central bank governor, a close friend of Orbán’s; Magyar Idők, a pro-government daily newspaper, formerly owned by Lőrinc Mészáros, one of the richest men in Hungary, and Figyelő, an economic weekly owned by Mária Schmidt, a Hungarian historian close to Orbán. They all gifted away their media properties to the foundation for free. The components of the new media portfolio earned HUF 60,000,000,000 (almost EUR 200,000,000) combined, partly from state advertisement, just last year, and their profit was HUF 8,000,000,000 (almost EUR 25,000,000). The Foundation recently acquired printed newspaper Szabad Föld—which has a circulation of 60 thousand—from Socialist friendly businessman László Puch. He also owns Népszava, the oldest left-wing newspaper. Government-critical site 444.hu recently mocked Gábor Liszkay, the leader of the Central European Press and Media Foundation, by making a business card listing all the media outlets he controls. Although the establishment of the new Foundation was only announced at the end of November, rumors of the acquisition had been spreading since the summer. The owners of the media companies will give their assets to Gábor Liszkay—the leader of the foundation—essentially for free. Liszkay has been the creative mind behind FIDESZ-friendly media from the very beginning. He was the editor-in-chief of the Magyar Nemzet daily newspaper until Lajos Simicska, the previous owner of the media group, broke with the Prime Minister. At the beginning of the “media war” Liszkay chose to remain loyal to Orbán. The foundation was registered at the end of September. Its board members include Fidesz MP István Bajkai, former MP of another party, István Varga and Miklós Szánthó, director of the Center for Fundamental Rights, a Budapest-based conservative legal research think-tank subsidized by Fidesz. The government’s official statement declares that the act of saving print media is of public interest, especially when it comes to maintaining public forums around the country. The foundation insists that it plans to accomplish this target on a not-for-profit basis. In a lengthy article, Magyar Idők wrote that the “changing environment” of publishing media requires new forms of financing and also drew a parallel between non-profit, philanthropic journalism and their foundation. “The philanthropic press does not set out to make a profit and it does everything it can to make sure its sponsors stay out of the editing process. Many provide content for free,” Magyar Idők argued, going on to claim that these type of media associations are not without example in Europe. The model exists in Norway and Denmark and has even been used in previous decades. 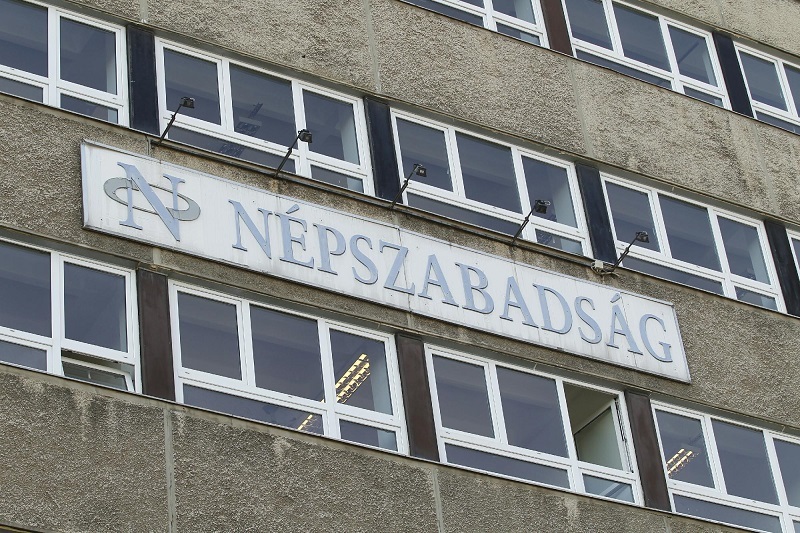 Former building of Népszabadság. At the beginning of the 1990s, following the collapse of the communist regime, the paper was privatized and the owners became Bertelsmann AG Germany (50%), the Free Press Foundation (Szabad Sajtó Alapítvány in Hungarian), a foundation of the Socialist Party (MSZP) (26%). The then biggest political daily was sold to Vienna Capital Partners, which created a subsidy, Mediaworks Hungary Zrt., for its Hungarian media interests. The paper was suddenly closed by its owner Mediaworks on 8 October 2016. A few days later Mediaworks was sold to Lőrinc Mészáros, one of the richest men in Hungary and close friend of PM Viktor Orbán. 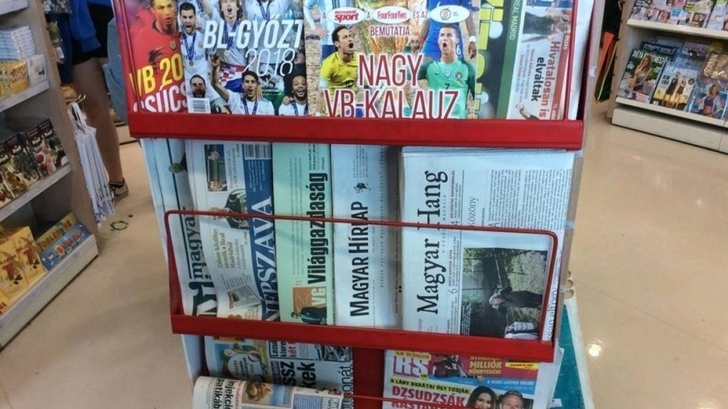 The Magyar Idők editorial calls attention to the continuous and gradual shrinkage of print ad revenue and the Hungarian print market. The article also discusses how the MSZP (Socialist Party) gained access to local newspapers, sold them to foreign investors and reallocated the money to create Socialist-friendly media. 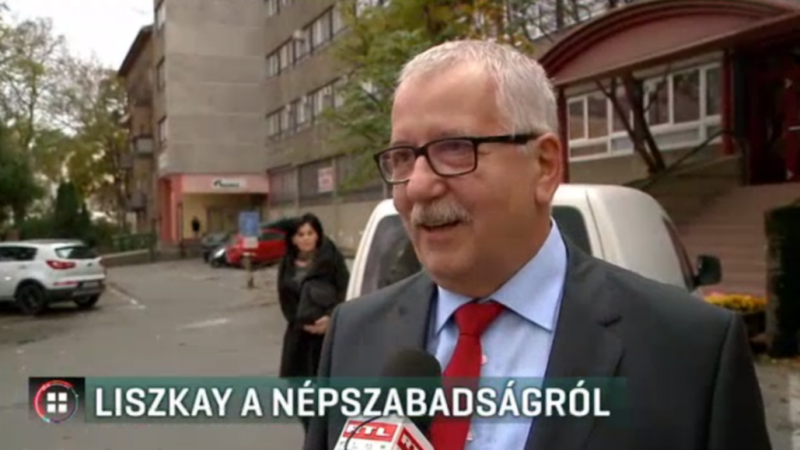 Magyar Idők claims MSZP financed their 1994 political campaign using revenue resulting from the transaction. According to the official statement, the foundation’s goal is to “serve, preserve and uphold balanced media in Hungary, in all terms.” A few days later, pro-government think tank Nézőpont recently published a study claiming that government-critical media is still dominant despite the creation of the Central European Press and Media Foundation. Those outlets still reach more people than the “government-friendly” ones do, they claim. Previously there were some uncertainties over the merge. However, the foundation was able to bypass an investigation by the Hungarian Competition Authority thanks to a unique status given by the government. On Thursday, the Socialist Party said it would sue Hungary’s Media Council over its failure to act against the Central European Press and Media Foundation. At a press conference, the deputy leader of the party’s Budapest chapter, Gergely Őrsi, noted that the government has declared the acquisitions to be of “strategic national significance,” thus exempting the transaction from the scrutiny of the Competition Office (GVH) and the Media Council. Socialist MEP István Ujhelyi stated that Orbán’s “media mafia” is in breach of not just “democratic decency” but also of the European Union’s founding treaty, Charter of Fundamental Rights and regulations on public financing. Ujhelyi said he plans to file a complaint with the EU’s competition commissioner and the European Parliament’s economic and monetary affairs and internal market and consumer protection committees. MUOSZ (National Association of Hungarian Journalists) has also filed a court case against the media foundation.